However, with our busy lives and perhaps not so perfect diets, many of us are reaching for supplements – especially when we feel there’s no other way to manage symptoms. The vitamins and supplements market is a valuable one – it’s expected to rake in £475 million by 2021. If we’re spending all this dosh, then we need to know that those supplements are going to work, so here’s a few that we’ve tested at TGIOF towers so you don’t waste those pennies. The biggest bit of advice we’ve taken away from our test? They won’t work overnight, so you have to keep with them for a few weeks or even months. If there’s no difference after that, ditch them! Secondly, price isn’t always a factor, but generally the more expensive the product, the better quality ingredients are included, so with this is in mind, here are the supplements we’re taking on a regular basis. 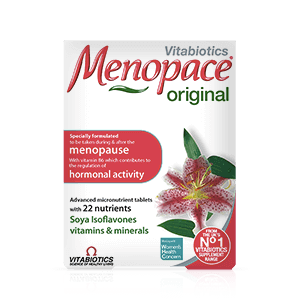 If you’re after a one-stop shop for menopausal symptoms, our favourite supplement out of the many we tested, was Menopace. It contains a variety of goodies that support the changes your body is going through while you experience the menopause. We definitely noticed a difference to our energy levels, thanks to the B12, copper and iron that’s in it. One of the main ingredients is Soya Isoflavone extract, which supposedly helps with hot flashes, fatigue, vaginal dryness and mood swings, and we definitely saw the latter improve over the course of taking them. If lack of sleep is your enemy, the thought of taking ‘real’ sleeping tablets every day can be a bit daunting, especially when research has shown that long-term use can lead to dementia, vomiting and hallucinations. There are a wide variety of ‘safe’ sleeping products out there though. Out of the ones we tested, Nytol Herbal One-A-Night, rated the best. It contains a higher dose of Valerian than many other herbal tablets and you only need to take one tablet to help bring on the ZZZs. Valerian root, used in tablets like this, contains compounds such as valerenic acid and sovaleric acid, that can help promote sleep and reduce anxiety. It’s also been found to help with restless leg syndrome. One of these a night helped us go to sleep quicker and on the whole, enabled us to sleep through our usual menopausal 3.30am wake up. Some days it didn’t work as well, but it’s a good go-to when you’ve had too many early wake ups and you need to get a good night’s rest. 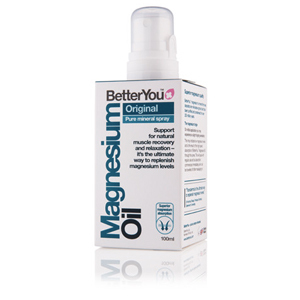 If you struggle with anxiety, you could do worse then use a magnesium supplement. It’s a natural muscle relaxer, which is why it’s used a lot after workouts, and also relaxes your nervous system, helping with fear, irritability and restlessness. Our favourite was actually a spray, which we sprayed on daily to help with anxiety. Not only is it absorbed quicker into the system, but taking it orally doesn’t agree with everyone – in fact, one of the oral tablets we took had a laxative effect on us, something we’re not keen to repeat! And whether it was a placebo effect or not, but spraying a little on our wrists when we were going through a particularly anxious moment, really helped calm us. If, like us, the menopause means you’re just as likely to put the car keys in the fridge as in your bag, then you need this supplement! It contains coenzyme Q10, which fuels your brain cells so they can provide brain power. Until we looked into this, we didn’t realise just how much energy your brain requires for proper functioning and as we age we produce less of the valuable coenzyme Q10. We’ve been taking this for a couple of months now and we’re definitely more alert – and there’s been less losing of keys! Some studies also show this supplement can be valuable in increasing energy levels and relieving menopausal headaches, so it’s a great all-rounder support during those menopausal years. Bacteria in your gut can take a hit from all those hormonal ups and downs during the menopause, which can create bloating, constipation, digestive issues and that dreaded belly fat! 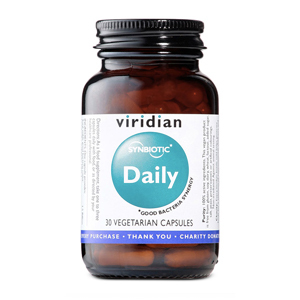 Taking a daily probiotic can help restore balance, improve your bowel functions and even possibly assist with weight loss. Experts recommend that you take one that has at least five different bacteria strains. We love this one from Neal’s Yard – our bloating significantly reduced and while we’ve not yet seen much of a weight loss, our digestive system definitely feels a whole lot healthier! As we get older, and particularly as we go through the ‘change’, skin and hair can literally dry up. This is thanks to plummeting hormones, however, there are supplements that can help restore your skin and hair to their prime. We tried a lot in this category and unfortunately for this one, we found the more you pay, the better results you get. Andrea really loves this Lumity combo – “I’ve been taking them for about three months and I’ve genuinely noticed a big difference in my nails, and my skin.” This is due to the high level of Omega 3 and amino acids. They don’t only make your hair shiny though, they also help boost your immune system and create strong bones and teeth. Top tip, you can get 15% off your first order by signing up to their newsletter! Whether you’ve been burning the candle at both ends or you’re just suffering from menopausal fatigue, this spray is a lifesaver! It contains B12, which is thought to help reduce the onset of fatigue, and Chromium, which helps balance blood sugar levels and lessens tiredness. By spraying it into the mouth, it’s absorbed quicker so we found it really hit the spot when we were going through those particularly tired times. Many women take this supplement in the hope it will help their hot flushes, but even though we tried four different types, it just didn’t make a difference to how sweaty and flushed we got. In fact, research on whether this supplement works is patchy – one test showed that just 26% of women who took it noticed any difference. The NHS also advises that it can have some negative side effects – for example, some people have reported liver damage while taking black cohosh. This is definitely one supplement to test, alongside advice from your GP.